Was born in 1952 in the city of Sovetskaya Gavan. 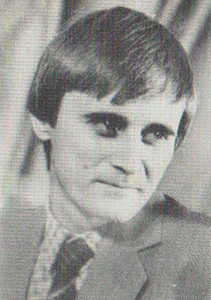 In 1976 graduated from Novosibirsk Electronic Institute. The first cartoon was published in the magazine “Eko” in 1977. Participated at over 199 exhibitions of posters and cartoons in Russia and abroad. Has got a number of awards for his works. Created books design, did painting, wrote fairy tales, parables, verses and epigrams.